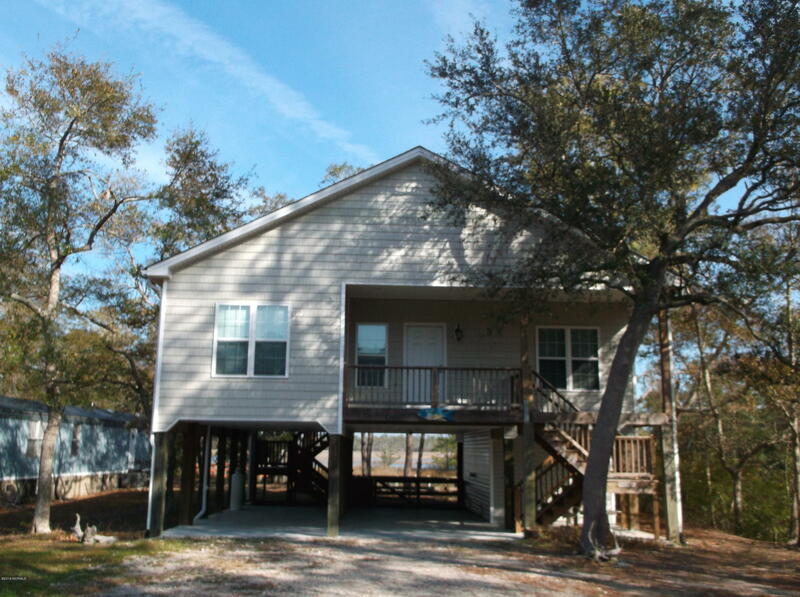 Come enjoy the ICW views from the wooded back yard of this Yacht Dr. home on Oak Island. This home is like new, with hardwood floors thru-out and ceramic tile in baths. Three bedrooms and two bath with cathedral ceiling in the living area and 9 ft. ceilings in the remaining rooms. Features include: beautiful kitchen cabinets, pantry, fenced area for the pets, large storage area, covered back porch with water views and crabbing dock. Some furnishings do stay. Check with listing agent for list of items.